Red Dead Redemption 2 is an epic tale of life in America's unforgiving heartland. 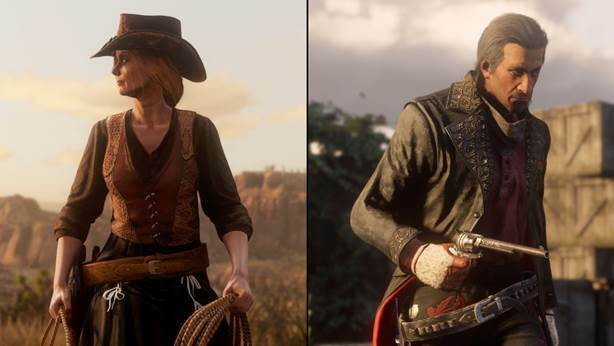 4/16/2019: Red Dead Online Beta has added a new care package and Showdown, Race, and Gun Rush Mode bonuses. 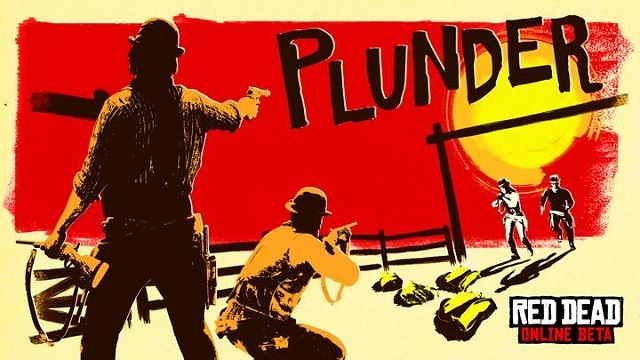 4/9/2019: The latest update to the Red Dead Online Beta includes the addition of the Plunder Showdown Mode. 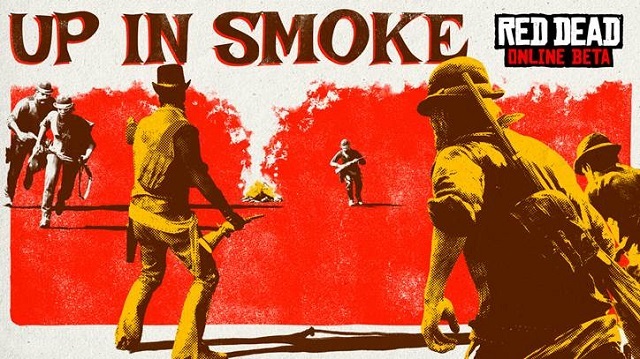 4/2/2019: Today's update to the Red Dead Online Beta adds the Up In Smoke Showdown Mode. 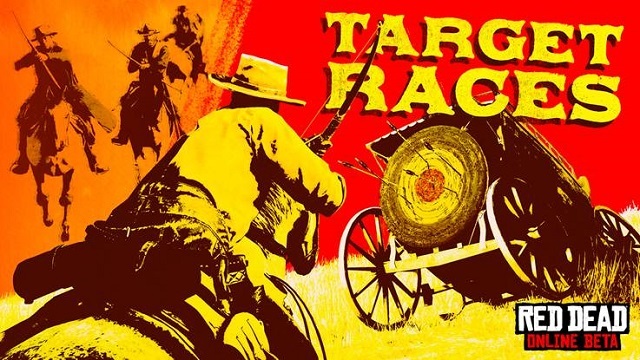 3/26/2019: Today's update to the Red Dead Online Beta includes Target Races mode. 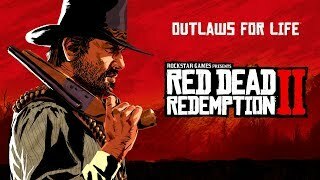 Red Dead Online to gamers: go fish! 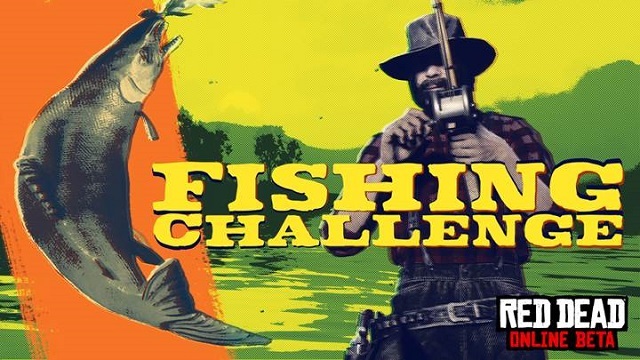 3/19/2019: Today's update to the Red Dead Online Beta includes the Fishing Challenge. 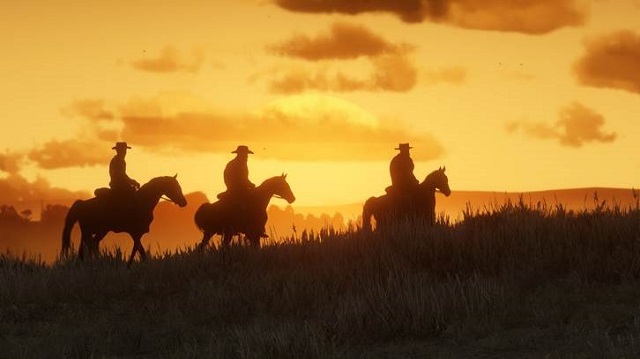 3/19/2019: Rockstar Games today revealed their plans for upcoming changes and new features to Red Dead Online. 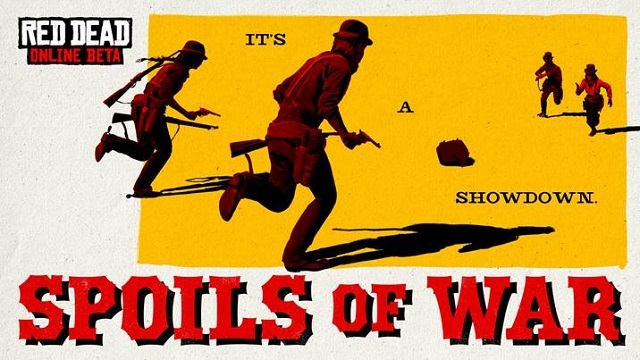 3/12/2019: Spoils of War, a team-based capture-style Mode for 2-16 players, was added to the Red Dead Online Beta as part of today's update. 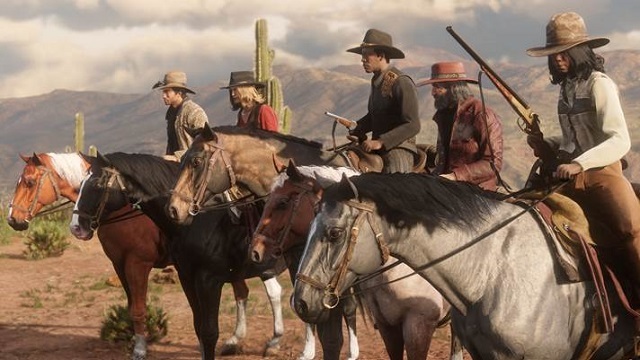 3/5/2019: Today's Red Dead Online Beta update includes the addition of the Evans Repeater and the Fool's Gold Free Roam event. 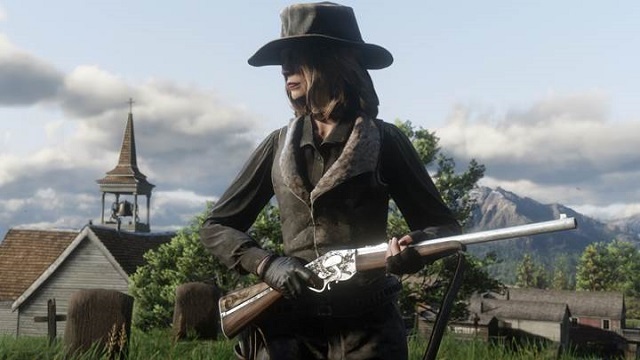 2/26/2019: Today's Red Dead Online Beta update includes new gameplay, weapons and clothing, and additional balancing. 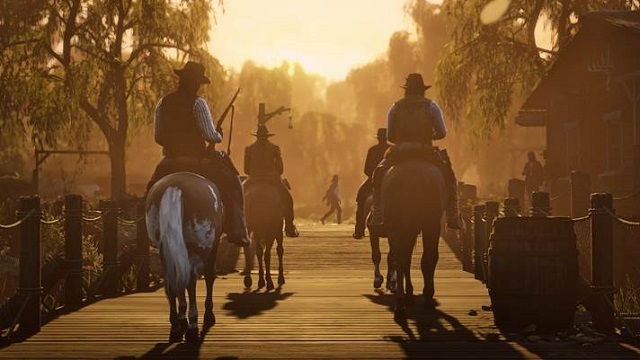 2/20/2019: A Red Dead Online Beta update coming next week will add new Free Roam Events, Showdown Modes, new Races. 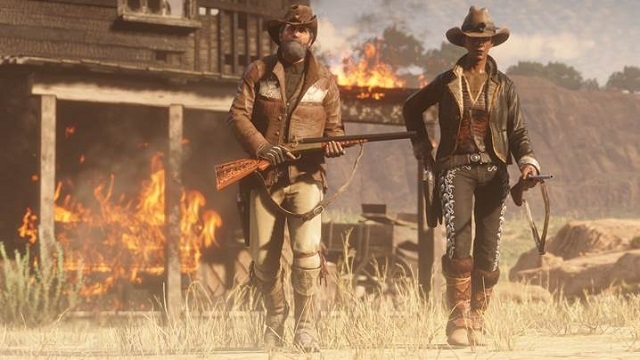 2/12/2019: A new update is coming to Red Dead Online on February 26th that will include fixes and new features. 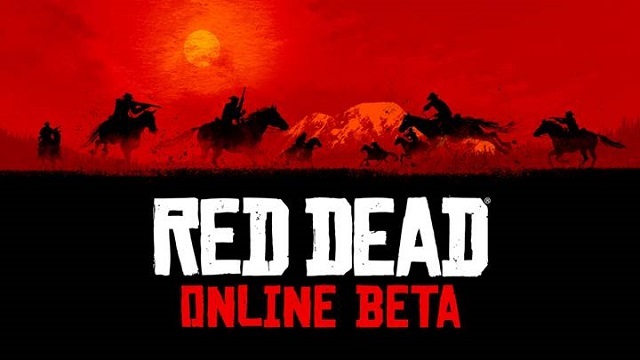 1/25/2019: A Red Dead Online Beta patch was released today, and players who log in this weekend will get a bonus of five Gold Bars delivered by January 29th. 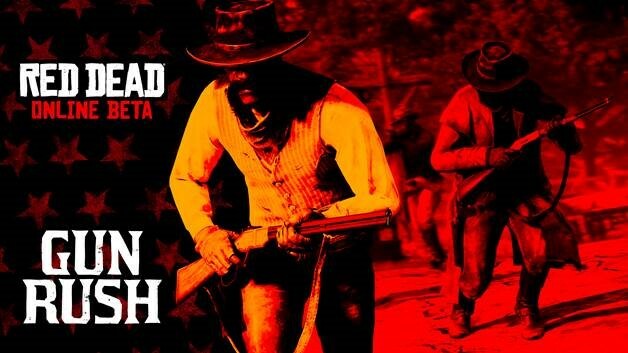 1/10/2019: An update to the Red Dead Online beta today adds the Gun Rush mode to the game. 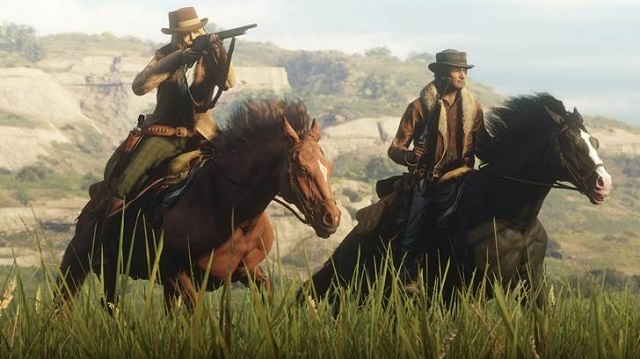 12/6/2018: Updates to Red Dead Online based on player feedback are being rolled out starting today. 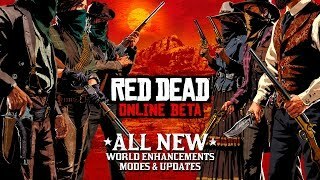 11/30/2018: All gamers who own Red Dead Redemption 2 can now participate in the Red Dead Online Beta.